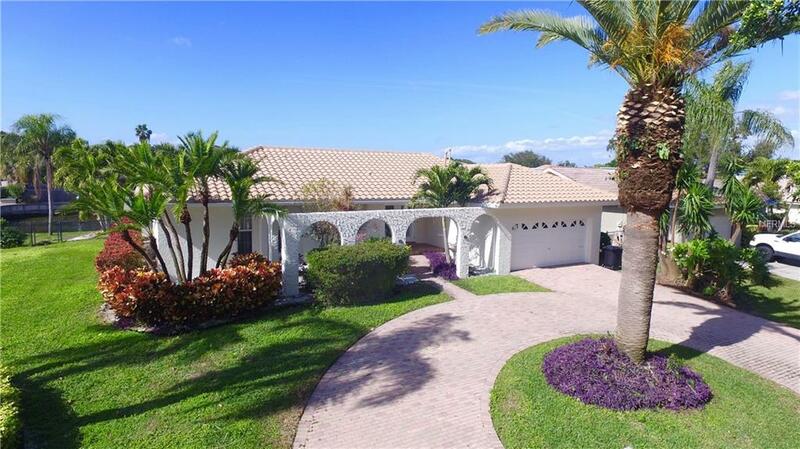 LOCATED IN THE HIGHLY SOUGHT AFTER COMMUNITY OF VENETIAN ISLES WITH RAPID BOATING ACCESS TO TAMPA BAY. 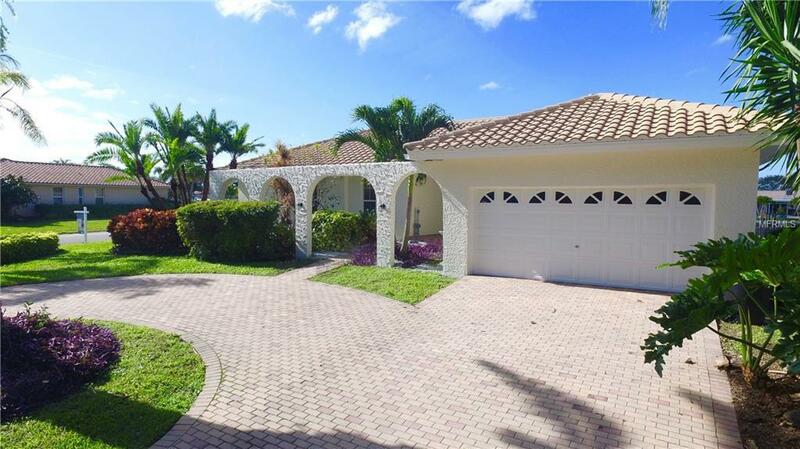 This 4 bedroom, 3 bathroom, 2 car garage, 2,256 square foot home has loads of upgrades from a 2015 sea wall, 2008 tile roof, 2016 HVAC system, 2015 pool enclosure, fresh exterior paint, and the list goes on. 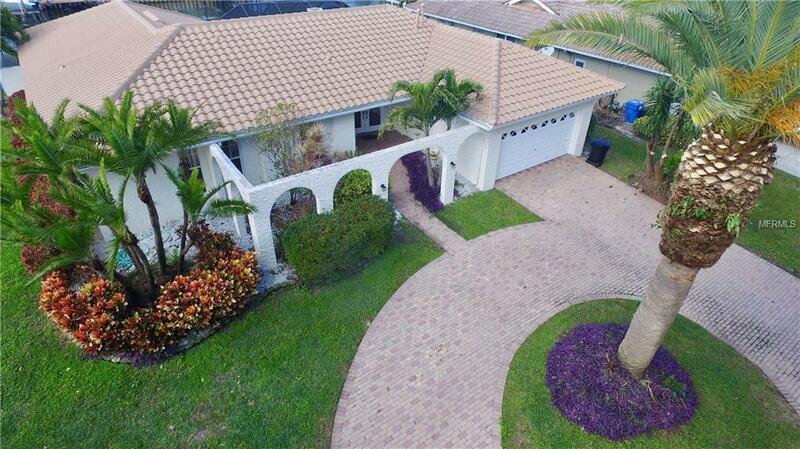 Lush landscaping and a brick paver circular driveway welcome you home. The spacious kitchen boasts granite counter tops, stainless appliances, a breakfast bar, and spectacular water views. The living room offers surround sound (perfect for movie night), updated marble flooring, and sliding doors leading you to the pool area with a brick paver deck and screened enclosure. The large open formal dining room offers spectacular pool and water views through the glass sliders. The master suite provides ultimate privacy located at the south west corner of the home with sweeping water views and a walk in closet. The master bathroom boasts granite vanity counter tops, his/her bowl sinks, a separate glass panel shower, and a jacuzzi tub. From the master suite step out onto your tranquil pool patio and back yard to take in the views. Your 100+ feet of waterfront includes a dock with a lower tier that allows for easy kayak/water toy launching and a sitting bench. To top it off the current annual flood insurance for this waterfront residence is a low $928.00 annually. 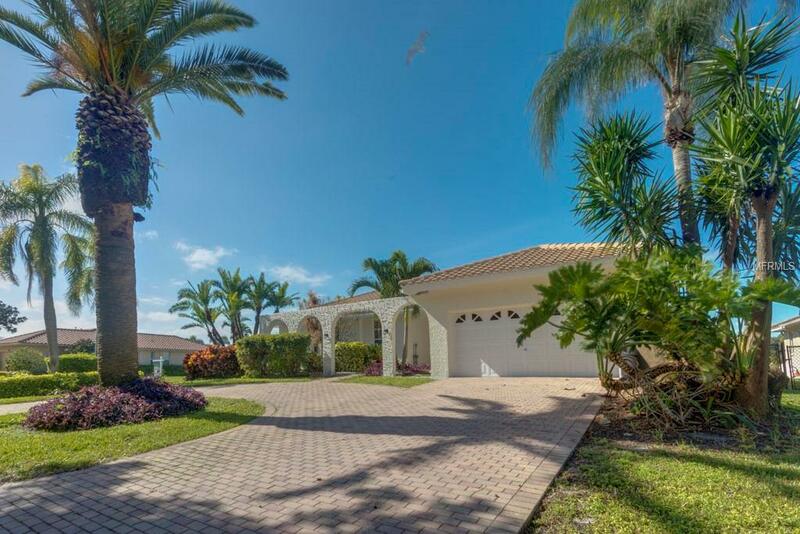 The home was recently appraised in 2018 for $855,000! Dont miss out on an opportunity to own a piece of waterfront paradise at a superb value!